Benjamin Franklin's Legacy is the symbolic link from extraordinarily creative Laureates, who explain and inspire creativity, to those curious, innovative and motivated individuals at the start of their careers who deserve greater recognition, encouragement, and mentoring. The Legacy's Mission derives from the 1789 codicil to Benjamin Franklin's will, which helps creative youths advance to fulfill their potential and to perpetuate the Mission. The Legacy provided a fund for awarding silver medals to outstanding students in the Boston Free Grammar Schools, including Boston Latin, the boys' school where Franklin's formal education ended at age ten. Benjamin Franklin silver medals have been presented in Boston annually from 1793 to the present. 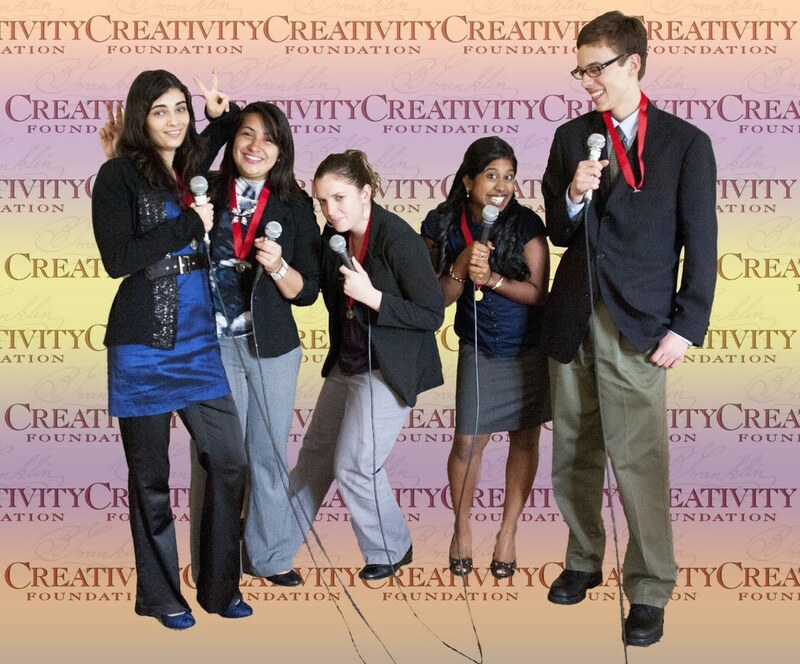 The Creativity Foundation Junto has invigorated and expanded Franklin's Legacy beyond the Boston area to include additional high schools, universities, institutions, and service organizations. Each of these selects an individual whom it judges outstanding in their approach to their disciplines. They must show great creative promise and inspiration in their endeavors in the arts, humanities, science, business, and public service. Individuals do not apply for this honor. They are chosen by a participating high school, university, or institution, which selects its Legacy Award recipients with criteria that reflect its own values. Organizations wishing to participate as grantors in the Legacy Project should contact the Creativity Foundation. Winners of the Legacy Prize are invited to Washington, D.C. in the spring to participate in the Annual Celebration. At an informal reception at the Cosmos Club, they meet other Legacy winners of the current year, the prior year, and members of the Junto. They then attend the Laureate Award Celebration at the Smithsonian Institution that evening. The next morning, Legacy prizewinners participate in an intimate and inspirational Creativity Round Table with the Laureate and with members of the Junto, where they discuss their own creative visions, further initiatives for the Legacy program and the importance of mentoring. Legacy winners from previous years are invited to participate, as well. At a Legacy Awards Ceremony Luncheon, to which parents and friends are invited, each Legacy prizewinner is awarded a silver medal, similar to those that have been given in Boston annually since 1793. The Legacy winners are presented with their awards by the current Creativity Laureate. These institutions participate in the selection of our Legacy winners. Every year the forty finalists of the Regeneron Science Talent Search (formerly the Intel Science Talent Search), America's oldest and most highly regarded high school science competition, choose their own leader. He or she receives the Seaborg Prize, named in honor of Dr. Glenn T. Seaborg, Nobel Laureate and co-discoverer of plutonium. National History Day (NHD) is a highly regarded academic organization for elementary and secondary school students dedicated to supporting the National History Day program. Through the National History Day essay and research competition, more than 5 million students have been encouraged to go on to careers in business, law, medicine and countless other disciplines putting into practice what they learned through NHD. The Faculty of Arts and Sciences on Public Service at Harvard University, in collaboration with Phillips Brooks House, selects an undergraduate student who, like Benjamin Franklin, has shown both exceptional devotion to public service and wide-ranging curiosity, embracing studies in natural or social science as well as in the humanities or in the arts. Phillips Brooks House is home for student volunteers performing many community services, including operating a homeless shelter, mentoring area students, offering literacy training, teaching English as a second language and operating twelve summer camps for inner-city children. Duke Ellington School of the Arts, Washington, D.C.
Based on the high school Deans' recommendations, the Principal's Cabinet selects an exceptional eleventh grade student based on his or her creativity in scholarship, citizenship, leadership and artistic discipline. The Legacy winner serves as an inspirational role model during the twelfth year. Taking recommendations from the faculty leadership and the deans, the President selects a third-year undergraduate or first-year graduate student who has demonstrated excellence and innovation in his or her musical studies and a commitment to engaging the larger community, both on and off campus. Legacy winners will fill an important mentoring role during their final year at Longy, working especially with the school's outreach programs. Founded in 1915, the Longy School is both a degree-granting conservatory and a community music school, and is committed to providing rigorous musical instruction to dedicated students of all ages and ability levels. VentureWell, formerly the National Collegiate Innovators and Inventors Alliance, supports technology innovation and entrepreneurship in universities and colleges to create experiential learning opportunities for students, and successful, socially beneficial businesses. VentureWell chooses a public-spirited college-aged student with extraordinary creativity in invention and entrepreneurship, and whose work in some way exemplifies the spirit of Benjamin Franklin. 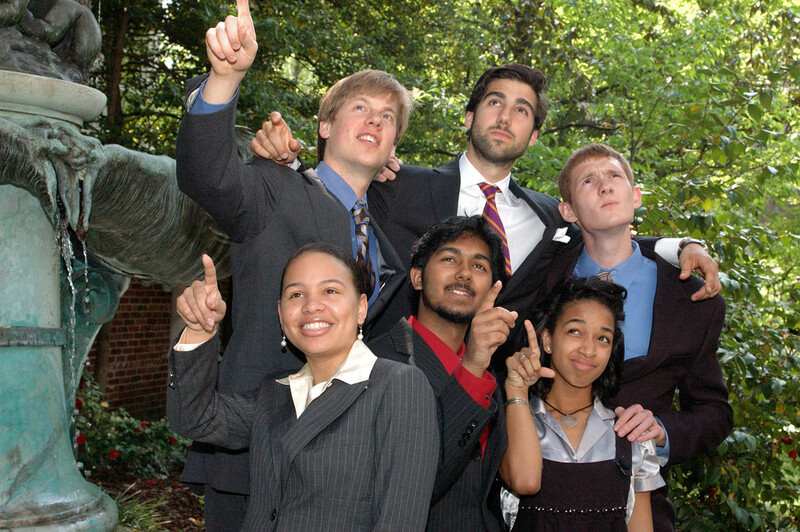 Established in 1995 with support from the Lemelson Foundation, VentureWell has a membership of over 200 colleges and universities from all over the United States, engaging more than 5,000 students and faculty innovators and entrepreneurs each year, assisting them with bringing their concepts to commercialization. Play the video "Exploring Creativity"